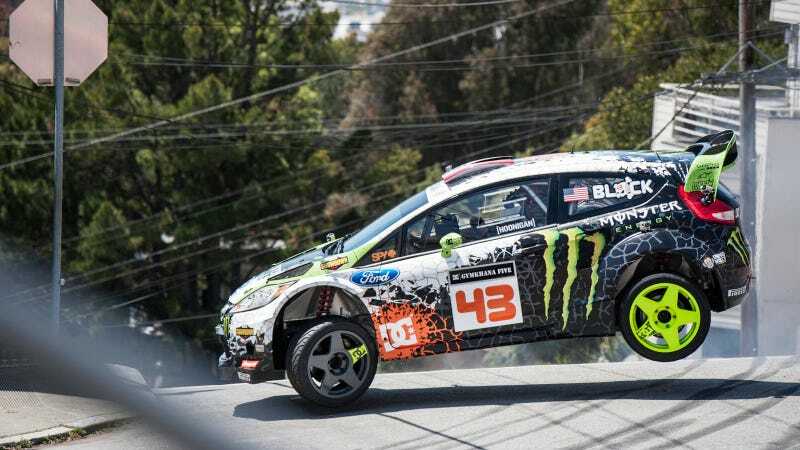 Kensington Blockenworth's Gymkhana Grid series is coming to the X-Games this year. It's the same kind of obstacle course rally car drifting you know from the videos, only head-to-head. The event is going to be a medaled event and will be at Irwindale Stadium, where they'll also be running rallycross. Last year they ran rallycross in downtown LA and a lot of people hated the course, which sent at least one driver to the hospital. We'll see if the Irwindale course improves over last year. Either way, more screeching, sliding rally cars is always a good thing.